Share this to ensure this song reaches out to every Indian. 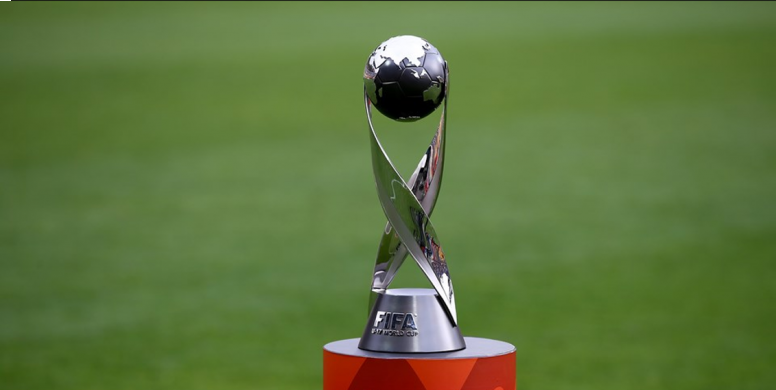 Amidst interest from around the world regarding the FIFA U-17 World Cup next month, FIFA has released the anthem of the tournament on YouTube yesterday. The song, which goes by the name of ‘Kar ke dikhla de Goal’ or ‘show that you can score a goal’ was sung by famous Indian singers Shaan, Sunidhi Chauhan and Babul Supriyo and beautifully displays India’s cultural aspect regarding the beautiful game. The anthem, ‘Kar ke dikhla de Goal,’ despite being released on YouTube is set to be unveiled officially on 7th September in the presence of greats of the game Fernando Morientes, Marcel Desailly, Carlos Valderrama, Emmanuel Amunike and Jorge Campos. The program will also host a FIFA Legends’ Match and the unveiling of the Winners’ Trophy in Navi Mumbai. The anthem starts with a man juggling a ball with his feet in front of a hut on a small island. It also displays various Indian cultures as famous dance Bharatnatyam, Kathakali and, Bhangra. The dances, which hails from different parts of the country, is already set to have a stadium where the month long tournament will be played. The video also shows clips from the tournament from the past, in different countries with different teams such as Belgium and Ghana playing and scoring magnificent goals. A mixture of several intriguing details, the video makers have concentrated on showing the football cultures in India. Children playing in muddy fields and roads, the music video has quite successfully portrayed the football playing scenarios in India. Indian footballing great Baichung Bhutia, who also used to be the captain of the Indian National Football Team, has joined in the video with the singing trio of Shaan, Sunidhi Chauhan and Babul Supriyo, which has undoubtedly been a huge boost to attract more people to the anthem and in the matches that will follow. The tournament, as indicated by the video will be played in 6 cities throughout the country. 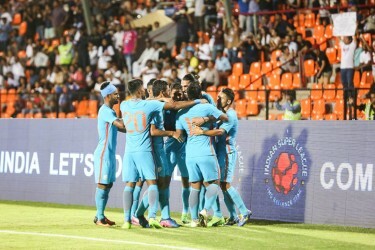 The Indian squad, who are sharing the same group with the likes of USA, Ghana and, Colombia in Group A and will ply their trade in the national Capital New Delhi from the first day of the tournament. 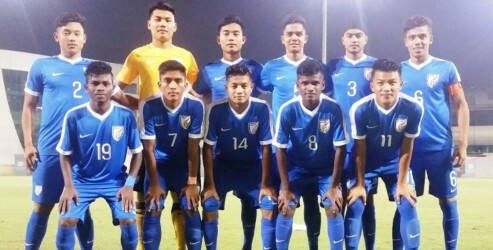 The Indian U-17 team, who are currently in Bengaluru were training to face the Indian U-19 team yesterday when the video was released on YouTube. The team is also set to play a couple more friendly matches before the tournament starts in the next month.